Now extend the thought-experiment back to 1996 and 1986. 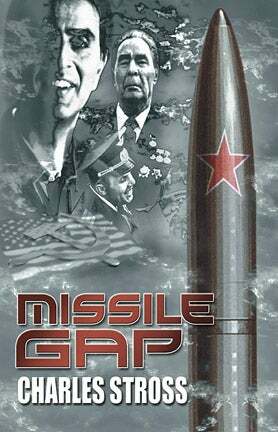 Your future-USA in the 1986 scenario almost certainly faced a strong USSR in 2019, because the idea that a 70 year old Adversary could fall apart in a matter of months, like a paper tiger left out in a rain storm, simply boggles the mind. It's preposterous; it doesn't fit with our outlook on the way history works. (And besides, we SF writers are lazy and we find it convenient to rely on clichés — for example, good guys in white hats facing off against bad guys in black hats. Which is silly — in their own head, nobody is a bad guy — but it makes life easy for lazy writers.) The future-USA you dreamed up in 1996 probably had the internet (it had been around in 1986, in embryonic form, the stomping ground of academics and computer industry specialists, but few SF writers had even heard of it, much less used it) and no cold war; it would in many ways be more accurate than the future-USA predicted in 1986. But would it have a monumental fiscal collapse, on the same scale as 1929? Would it have Taikonauts space-walking overhead while the chairman of the Federal Reserve is on his knees? Would it have more mobile phones than people, a revenant remilitarized Russia, and global warming?